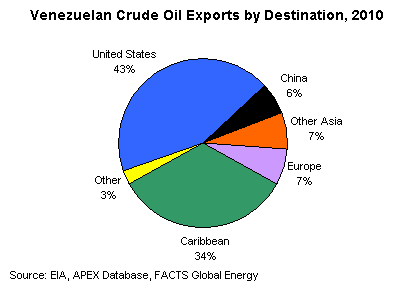 Venezuela is the world’s 11th largest net oil exporter. To understand the country’s economy it is necessary to have a grasp of it’s oil industry. 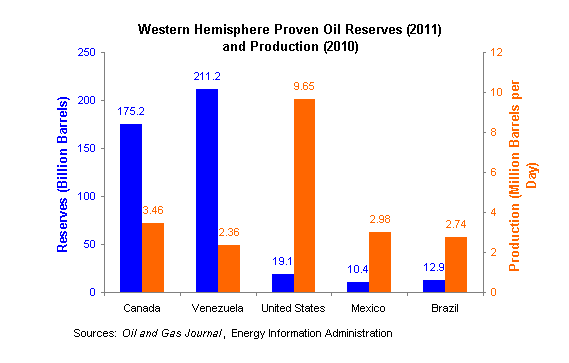 Below I have provided information that I feel is crucial to understanding Venezuela’s oil industry. Of the 19.1 billion barrels of oil Venezuela has in its reserves, an average of 2.36 million barrels are produced everyday. As we can see below, this amount has been falling for the past 10 years. Which begs the question, why is it that Venezuela is slowing production? As one of the United State’s main suppliers of oil, it appears that the US is weaning itself off of Venezuelan oil, reasons which shall be explained in a later post. In reaction to this decline Venezuela has looked to diversify its export destinations. Although the USEIA does not have all the data for the past 3 years, we can see an overall trend of declining exports and increased domestic consumption. “CELAC” a New Opportunity for Latina America and The Caribbean?